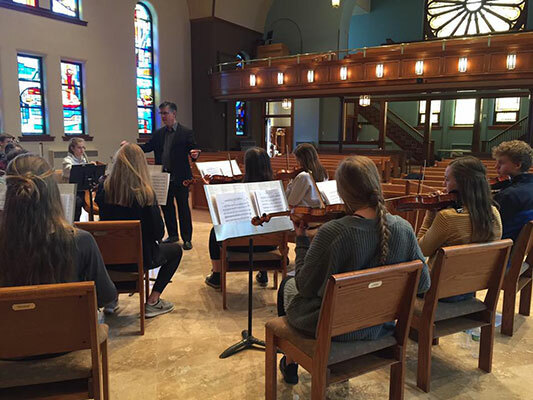 Dr. Jungho Kim is the renowned Conductor selected by the South Dakota String Teachers Association to conduct South Dakota's top 22 string students in their J. Laiten Weed Honors Orchestra Concert. 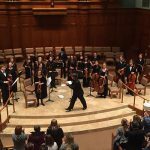 Dr. Kim was made the director/conductor of the Augustana University Orchestra, Sioux Falls, in 2015. This award winning musician earned two Master Degrees, Violin Performance and Orchestral Conducting, from the University of Cincinnati. He recently studied with Maestro Neil Varon at the Eastman School of Music, where he earned his Doctorate Degree in Orchestral Conducting. Dr. Kim comes from a family of generations of professors and teachers. He is known as a passionate scholar and musician. As a child he would listen to his father discussing the great philosophers with students. He recalls that the students did most of the talking, his father guiding the discussions. Kim took this method as his own, stressing that teachers must truly care about the development of their students, and guide them in their search for knowledge, not just give them facts. 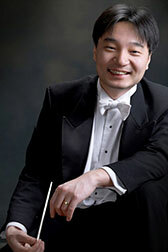 He believes the ultimate goal and purpose of a good conductor is to guide and lead the musicians to “being the music”. 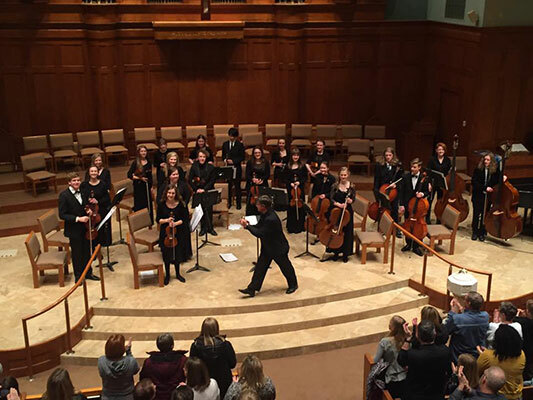 The HONORS ORCHESTRA is made up of the top 22 students from South Dakota All State Orchestra. J. Laiten Weed (1917-1989) was one of the first professional string teachers in South Dakota. 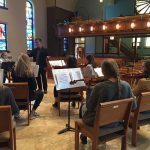 He was the Director of the Yankton College Conservatory of Music and a Charter Member of the South Dakota String Teachers Association. Dr. Weed believed in promoting and rewarding top string players. His vision was realized when, in 1986-'87 the state-wide, J.Laiten Weed Honors Orchestra became a reality..
Each year, this youth orchestra consists of 22 string students who achieved top scores in the South Dakota All-State Orchestra auditions. 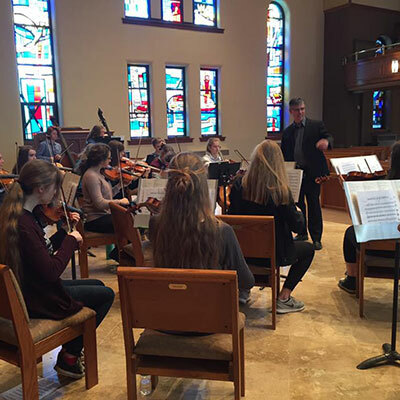 These students receive their music in December and begin preparing for the concert. 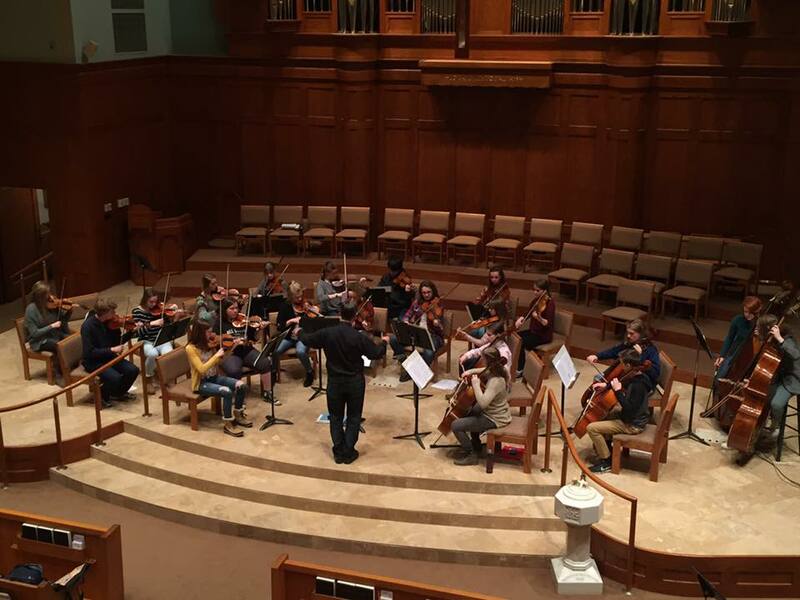 Upon arriving in Rapid City two days before the event, they audition for solo assignments and placement in the orchestra. The two days are then filled with intense rehearsals. 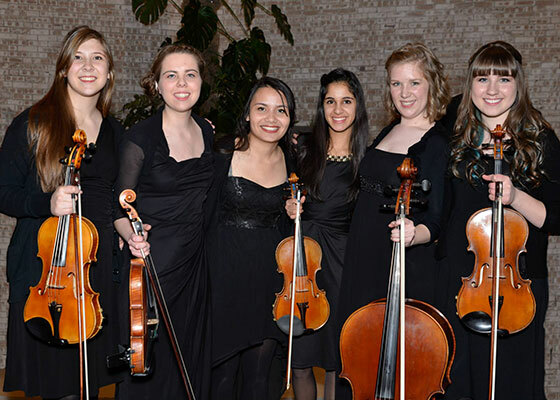 These top string students are an inspiration. Their music is always exceptional. A reception will follow this concert. 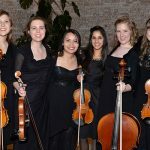 The Black Hills Chamber Music Society has been bringing quality chamber music events to Rapid City and the surrounding area for nearly 54 years.